Vitamin D deficiency has been linked to so many conditions. 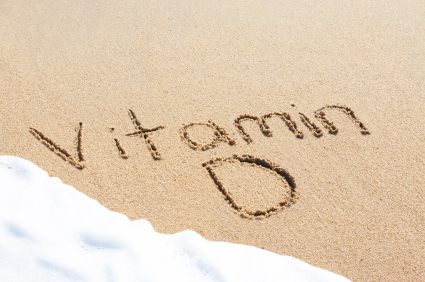 It’s long been known that vitamin D is essential for healthy bones. Some research is now also showing link between vitamin D and other conditions such as heart disease, diabetes, obesity, autoimmune diseases such as rheumatoid arthritis and multiple sclerosis, Parkinson’s disease and some cancers including colorectal, breast and pancreatic. Of course, none of this is conclusive, as yet, but it is an exciting and active area of research. Vitamin D supplements are also experiencing a bit of a boom. UK government guidelines recommend some groups, including the under-fives, should take a daily supplement. There is some confusion about what and how much is the best in terms of supplementation and guidelines are under review. It’s so important to get it right considering a UK survey last year that found over a quarter of under-fives do not have enough vitamin D, and are at risk of bone problems. That’s why I’m excited to let you know that you will have the opportunity to learn more and have your questions answered about Vitamin D in an exciting new event happening on the 7th of February. It’s called the Health Hangout and you are invited to come and “hangout” and to discuss and listen to what’s new and cool on Vitamin D. It’s free and you don’t even have to leave your living room! 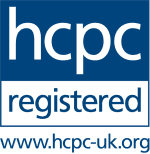 It’s aimed at everyone – it can be just for your own info or for CPD if you are a student, dietitian/nutritionist or other health professional. I’ll be on the panel for this one and would love you to email me or comment below – any questions you have on vitamin D.
So what’s a health hangout ? Basically, for those of us who aren’t that tech savvy – i.e. me, it’s watching and being involved in a half hour online health chat that’s being video streamed live. It’s a bit like eavesdropping on a conversation about health. A small group or panel of experts will be on screen to discuss the topic of the day and will be armed with your questions, which will be discussed and answered live. These questions can be submitted before the chat or can be tweeted or messaged during the chat. Some viewers may even get to ask their question on camera for the live stream. Send questions for us to answer (by Mon 4/2/13, 9pm): Tweet your question using the hash tag #HealthHo, email it to: hello@thehealthhangout.com or write it on the Facebook page. Vanessa is a freelance dietitian and founder of The Health Hangout and Cake Nutrition Co. Professor of Human Nutrition and Head of the Nutritional Sciences Department at the University of Surrey. Expert on Vitamin D.
Freelance dietitian running North West Nutrition . Although not all Health Hangouts will be sponsored events, this first one is kindly sponsored by Nestle Breakfast Cereals . In response to increasing concern over vitamin D levels in the UK, Nestle have reformulated their cereals to include 15% of the Recommend Daily Allowance of vitamin D, whilst at the same time upping calcium (to 15% RDA) and reducing the content of sugars (up to 30% reduction). Please join us on 7th February..and email your questions before the day. Even if you’ve previously had healthy levels of vitamin D, a change in lifestyle or an illness could leave you deficient. It’s easy to become deficient. It varies from person to person, but the time it takes for your vitamin D level to drop to half is 15 to 50 days.